In London you can also book an apartment. That can be nice if you are several people traveling together or want self catering. It can be nice to take care of "yourself" and a feel a bit at home. Below we give tips on a few different apartments you can book in London. 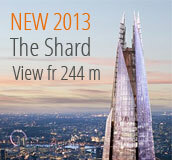 London Bridge, 34 Long Lane Modern and spacious apartments in central London. Bathroom, bedroom, living room and fully equipped kitchen. 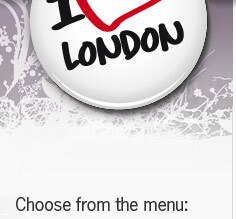 You are close to London Bridge, London Dungeon and the Tate Modern. Reception 24 h. Elevator. Wired internet is free..
7-21 Goswell Road Fully equipped apartments with a homely atmosphere. Do not want to cook your own breakfast there is a breakfast room with continental breakfast. You are close to London museums and restaurants and nightlife. Reception 24 h. Smoking Rooms. Disabled access. Elevator. Free wireless internet. 30 Queen Street Modern fine apartments in London's financial district. Close to St. Paul's Cathedral and London Bridge. Bedroom, bathroom, living room and full kitchen. Reception 24 h. All rooms and public areas are non-smoking. Elevator. Disabled access. Free wireless internet. 102 George Street, Westminster Large air-conditioned apartments close to shopping on Oxford Street, Hyde Park and Madame Tussauds. Fully equipped kitchen, bedroom, bathroom and dining room. TV, DVD players and free Wi-Fi. Children under 5 years stay free of charge. 37 Tanner Street, Southwark Bright, cozy apartments near Tower Bridge. Walking distance to the Tower of London. Spacious apartments with full kitchen. Washer & Dryer. Free Wi-Fi. Smoking rooms. Elevator. A number of different apartment types. 176 Sussex Gardens, Westminster Apartments with great location. Near Oxford Street and Hyde Park. Types of apartments available. Bedroom, bathroom and kitchenette. The DVD player, CD player, TV. Reception 24 h. Smoking Rooms. Elevator. Free Wi-Fi. Children under 3 years stay free of charge. 203 Long Lane, Southwark Modern stylish apartments. Near the River Thames and Tower Bridge. Bedroom, bathroom, well equipped kitchen with dishwasher and microwave. Washing machine and dryer. TV, DVD player. Free Wi-Fi. Reception 24 h. Smoking Rooms. Elevator. Children under 2 years stay free of charge. 56 Curzon Street, Westminster Spacious and modern apartments in one of London's most famous sites, Mayfair. Perfect location, close to most of what Trafalgar Square, Buckingham Palace and Piccadilly Circus. Bedroom, bathroom and equipped kitchenette. Reception 24 h. Smoking Rooms. Elevator. Free wireless internet. 42 Princes Square, Westminster Modern and fully furnished apartments. Kitchenette, bathroom, bedroom and dining area. TV and DVD player. Free wireless internet. Located near subway stations. Close to Hyde Park Notting Hill and Kensington Palace. A variety of apartments to choose from. Smoking. Elevator. Reception 24 h. Children under 4 years stay free of charge. 181-183 Warwick Road, Kensington and Chelsea New from 2009. Self-catering apartments. Bedroom, bathroom and fully equipped kitchen. By subway, take you into central London. Reception 24 h. Smoking Rooms. Elevator. Air conditioning. Free wireless internet. 13 Harrington Road, Kensington and Chelsea Exclusive apartments with homely atmosphere. Fully equipped with modern furnishings. Bedroom, bathroom, living room and kitchen. Free wireless internet. Reception 24 h. Smoking Rooms. Elevator. Children under 3 years stay free of charge. " Find all London hotels !